A unique and proven method of pest control. Thermal Acoustical Pest Control Insulation (TAP) Pest Control Insulation is a superior insulation product that guards against mold and mildew, offers excellent acoustical control as well as fire resistance with year-round energy savings, and provides permanent pest protection backed by a lifetime warranty. Remember, TAP Pest Control Insulation is an EPA registered pesticide and can only be installed by a licensed Pest Management Professional. What Is TAP Pest Control Insulation? Have you ever wondered what happens to your recycled newspaper? Well, it is quite possible that your old newspaper was used to make TAP insulation. Thermal Acoustical Pest Control Insulation (TAP) is primarily made from ground-up newspaper. The new paper fibers are then treated with a specially formulated borate solution to give the product its pesticide qualities. The result is a safe and highly effective insulation and pesticide that is environmentally sensitive as well. 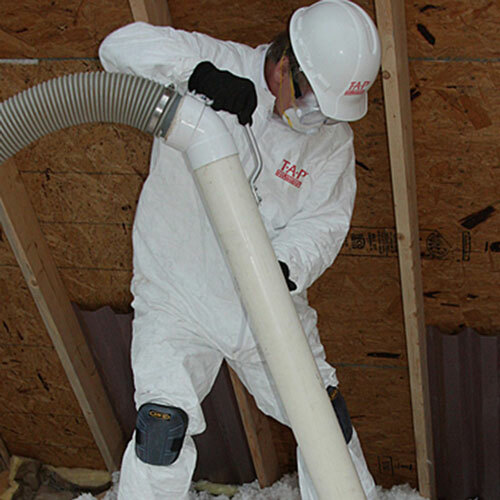 TAP Pest Control Insulation is a "loose-fill," cellulose insulation, so it is installed by being blown into attics on top of existing insulation. It can also be installed in attics and walls of new homes with specialized machines. While reducing your energy bills by keeping your home warmer in winter and cooler in summer, TAP Pest Control Insulation offers permanent pest protection that controls common household insects that nest in attics and walls like Ants, Booklice, Centipedes, Crickets, Darkling Beetles, Earwigs, Millipedes, Roaches, Silverfish, Sow Bugs, and Termites (including Formosan Termites). TAP Pest Control Insulation is also a superior insulation product that guards against mold and mildew, offers excellent acoustical control and fire resistance with year-round energy savings, and provides permanent pest protection backed by a lifetime warranty. 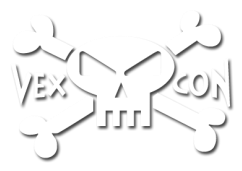 TAP Pest Control Insulation can only be installed by Vexcon Pest Control. Contact us for a free quote today!